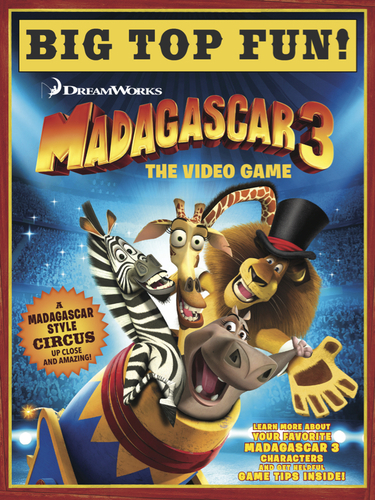 Madagascar 3: The Video Game hits store shelves tomorrow, June 5 for the Nintendo Wii, Nintendo 3DS, Nintendo DS, the Xbox 360 video game and entertainment system from Microsoft, and PlayStation3 computer entertainment system! 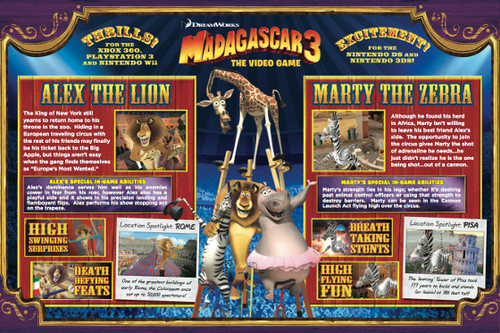 In anticipation of its release, D3Publisher has created this awesome Madagascar 3: The Video Game Circus Program to get you ready for your upcoming big-top adventures. 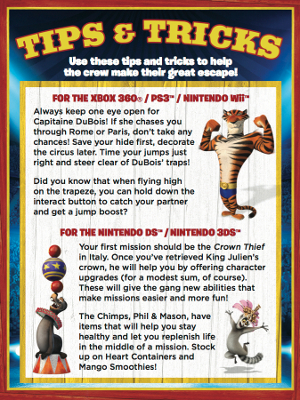 Check out the slideshow for more details and be sure to pick up a copy of this fun and exciting game. 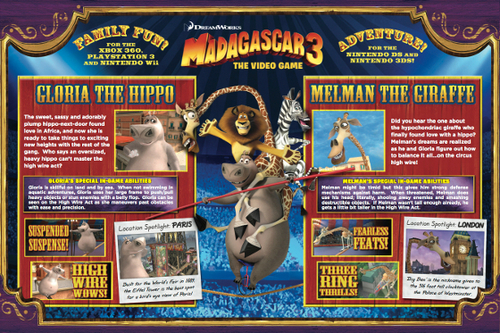 Who is your Fave Madagascar: Escape 2 Africa Character?